How Sustainable is your Water Bottle? As modern society becomes more environmentally conscious, we have made positive strides toward sustainable lifestyles—from using eco-friendly household products to conserving water and energy to recycling various materials. However, not everyone abides by these practices, opting for convenience over eco-friendliness. This issue is especially problematic where water bottles are concerned. Due to their disposable and on-the-go design, these bottles often land in trash receptacles instead of recycle bins. Consequently, landfills become inundated with non-biodegradable waste, which then causes atmospheric pollution. In the U.S. alone, an estimated 50 million water bottles are dumped into landfills each year – averaging 140 million per day. Given this toxic threat to both the planet and our well-being, how can we, as savvy consumers, determine which types are least likely to increase the carbon footprint? Let’s analyze how a few popular types on the market measure up, in terms of being biodegradable and recyclable. Although these single-use water bottles offer the advantage of portability for our fast-paced schedules, plastic is a rampant environmental hazard. This material contains petroleum, a nonrenewable resource that triggers widespread fossil fuel pollution across both developed areas and natural ecosystems. About 80% of these bottles are discarded rather than recycled, and plastic takes 700 years to decompose, contaminating the air and oceans. Each plastic water bottle emits 120 grams of greenhouse gases upon entering a landfill. Moreover, these products cannot be reused because they leak the toxic chemical Bisphenol-A (BPA). Made from polycarbonate, or hard plastic, these durable and long-lasting water bottles allow for multiple uses to promote sustainability while decreasing waste. However, like disposable plastic, this material also contains petroleum, meaning the oil needed to manufacture polycarbonate for our water bottles each year could power one million vehicles per year. In addition, silicone water bottles exude potentially harmful levels of BPA which can provoke respiratory, neurological, cardiovascular, thyroid or reproductive issues. This synthetic compound also adversely impacts the development of freshwater habitats, according to the U.S. Environmental Protection Agency. Silicone is also non-recyclable, so if this product becomes damaged, it winds up in the landfill. Silicone solves the sustainability problem water bottles face, but not the biodegradable aspect. While these highly resilient water bottles are among the most expensive options currently on the market, stainless steel’s sustainable framework is worth the investment. In fact, don’t be deterred by its price tag because this material has a long lifespan that withstands virtually unlimited usage—in addition to being dishwasher safe and recyclable. Unlike the health risks associated with silicone and other polycarbonates, stainless steel is BPA-free and adheres to food-grade standards by the U.S. Food & Drug Administration. Just ensure the water bottle has been manufactured by an American company, because stainless steel produced overseas often contains noxious substances. Unlike either silicon or traditional plastic water bottles, stainless steel offers both sustainability and the potential for recycling – not to mention it’s one of the healthiest materials for water bottles! Equally lightweight, yet more eco-friendly than plastic, these reusable water bottles are also more cost-effective alternatives to stainless steel. When lined with non-toxic epoxy resin, this material protects the consumer from harmful BPA exposure and meets the FDA requirements for safe, innocuous usage. Another advantage of aluminum bottles is their recyclable composition which minimizes the threat of greenhouse gas emission. Those who choose this product as a substitute for single-use plastic bottles should be mindful that, when cleaned in a dishwasher or placed in extreme temperatures, the aluminum could release trace amounts of BPA. Developed from an innovative and entirely “green” type of plastic, this BPA-free water bottle can not only be recycled, but stimulates bio-degradation as well. Upon entering a landfill, this material rapidly decomposes, converting into organic matter instead of contaminating the atmosphere. 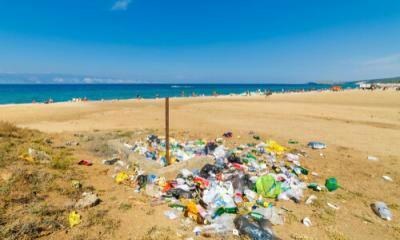 Therefore, even if the bottle is not recycled, its discarded remains will not exacerbate plastic pollution. Alkame products also contain Ultra-Hydration water which is naturally formulated to balance the body’s pH levels, increase oxygenation, boost energy and elevate antioxidant absorption. These properties support optimal immune, metabolic, cardiovascular and respiratory functions. Overall, Alkame water bottles are beneficial for both the planet’s well-being and our own physical health. These durable, long-last bottles have been serving us for decades – the first glass container was made about 1500 BC, although glass blowing wasn’t discovered until 37 BC. Modern glass is made from sand, soda ash, limestone and cullet – the industry term used to refer to furnace-ready recycled glass. These materials are heated to 2,600-2,800 degrees Fahrenheit and then molded into the desired shape. Glass bottles have earned their “green” badge and rightfully so – they’re 100% recyclable! 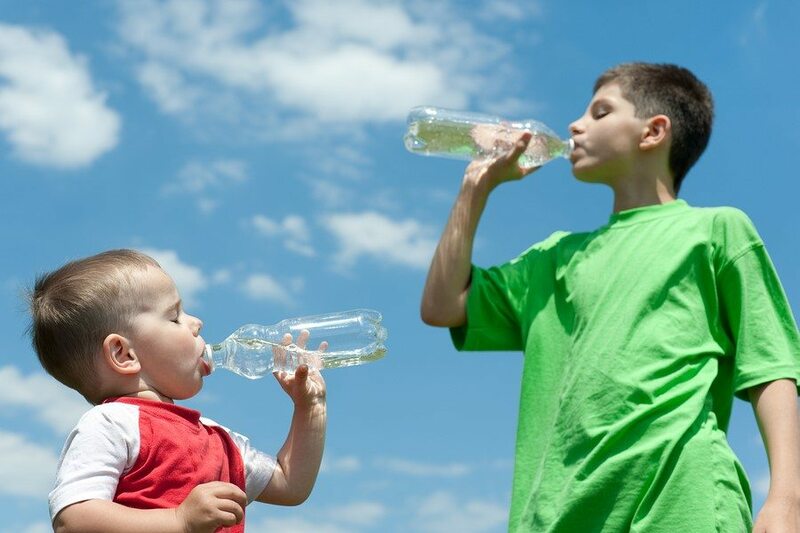 Perhaps the most sustainable and recyclable material available for water bottles, glass is also easy to keep sterile. To avoid breakage (and increase sustainability! ), you can buy a silicone sleeve for your water bottle. Glass can be reused with a loss in quality or cleanness – something very few water bottles can do! Research indicates the average American will use 167 water bottles on an annual basis, but only 38 will be recycled. Moreover, the energy expended through this nation’s annual water bottle consumption could power 190,000 households for a year. In order to minimize these statistics, we should substitute our reliance on disposable water bottles for reusable alternatives manufactured with eco-friendly materials. Ultimately, this sustainable living initiative will promote an environmentally aware and globally responsible society. Ted Rollins, of Greenville, SC, serves on the regional Environmental Defense Fund board. He has played an active role in regenerative practices globally as a board member of CLEAR, the Center for Living Environments. Throughout the years, Ted’s work has taken him across the US as a leading developer and manager of high-quality, purpose-built housing properties, with a focus on environmentally sustainable, multi-family housing. Follow Ted on LinkedIn.